The representative of Jorginho has confirmed the Italian is on the cusp of joining Manchester City. The Premier League champions have been negotiating a transfer fee with Napoli since the start of the month and agent Joao Santos has now confirmed that the transfer could come to fruition by next week. “Jorginho is now in Fortaleza with his family on vacation. In football you need signed documents, without this you can do little. We have a verbal agreement with City, now we are waiting for Napoli to find the agreement and Manchester [City] to define the deal. Everything depends on this aspect, next week could be the one. Before Ancelotti arrived there was already talk of a transfer of Jorginho, so the change of the technical guide was not decisive,” he told Calcio Napoli 24 Live. Citizens boss Pep Guardiola has earmarked Jorginho as a replacement for the departed Yaya Toure but the Brazilian could potentially replace Fernandinho in the long-term with the Brazilian having entered the twilight of his playing career. Meanwhile, the Mancunian giants are also said to be eyeing a forward signing for the summer transfer window with Riyad Mahrez supposedly leading their shortlist. 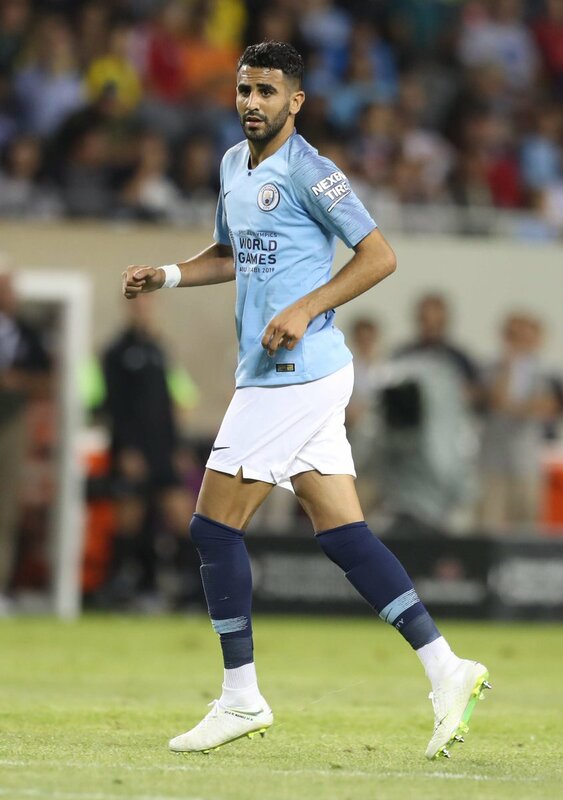 Guardiola’s men had tried to pursue Mahrez from Leicester City in January but their reluctance to pay the Foxes’ hefty asking price pulled the plug on the proposed deal. Since then, there has not been much talk regarding the same but reports suggest that the attacker will certainly leave the King Power Stadium before the start of next season. As things stand, Leicester are said to have placed an asking price of around £65m on Mahrez’ head but they could come down in the coming weeks, should there be no breakthrough with his potential suitors. The Algeria international has just two years left on his Foxes contract and he has already dismissed the possibility of an extension. This entry was posted in Man City News, Uncategorized and tagged Jorginho, pep guardiola, Riyad Mahrez. Bookmark the permalink.